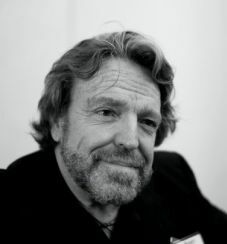 In 1990, John Perry Barlow co-founded the Electronic Frontier Foundation (EFF), a nonprofit based in the U.S. that provides legal aid to defend individuals and new technologies from what it considers to be misdirected legal threats. Barlow currently serves as vice-chairman of the EFF’s board of directors. In 2012, Barlow was one of the founders of the EFF-related organization the Freedom of the Press Foundation. His “A Declaration of the Independence of Cyberspace” argued that the cyberspace legal order should reflect the ethical deliberations of the community. He spends much of his time on the road, lecturing and consulting about civil rights, freedom of speech, the Internet and the Electronic Frontier Foundation.